Indeed they are, Momma! Love you! comes up when this e mail was to me. But let me assure you this is the most endearing e mail I have ever received. You of course are soooooooo loved. God has blessed you tremendously. You do so much for so many. I love you more than any words can express. By the way… what do you mean when you were 4 you believed I pulled the sun up. morning walk…but first need to go out and pull the sun up. Hi, Daddy! So sorry you had troubles posting your comment. But I’m glad you persevered because you’ve — once again — warmed my heart with your words. I, too, love you more than words can express… and am delighted you still pull the sun up every morning. I love you!! Thanks for sharing, Donna, I loved reading your dad’s comment too. Makes me recall good times and memories with my dad and makes me cry…. in a good way. Your Dad comes to life in your eyes every time you speak of him, Carrie. What an amazing, wholehearted man he was. I’m glad to call his daughter, Friend. – When I think of your Dad, I think of chasing the trains first. I actually shared that with me fourth graders this year complete with the picture of the 5 of us watching the passing train and little David twenty yards away! – Watching “The Wizard of Oz” on your Dad’s incredible TV that was inside the cabinet! All five of us giving your Dad a back rub while he laid on the ground. – Watching movies in the basement in actual auditorium seats! 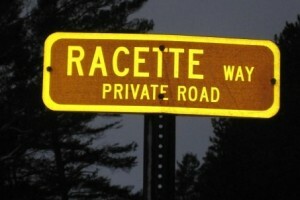 I am so thankful that the Racette family was such a huge part of my early life. Thank you Donna! Thank you Mark! Thank you Debbie! 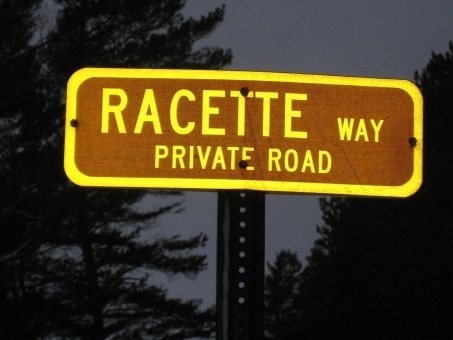 And of course, thank you Mr. & Mrs. Racette !!! Donna – you have such a gift of writing and of sharing! Dear David, you are such a beautiful soul and loving friend. How blessed I am to have had you in my life since the day I was born (….er, well, 8 days after I was born LOL). Thank you for sharing in these memories with me; and thank you for building new memories for the children in your life (yours-n-Robbi’s + your 4th-graders). I love you! My dear friend, Julie. Oh, how you warm your heart. I can HEAR the giddiness in your voice as I read your words (luvit). How grateful I am for the MANY cherished memories we share. I am most especially thankful to call you, my Forever Friend. I love you and cherish you!